Today I bring you (well, not literally - sadly) a very old single grain whisky from That Boutique-y Whisky Company. It is an Invergordon 42 YO. The 15 batch of Invergordon released by TBWC. 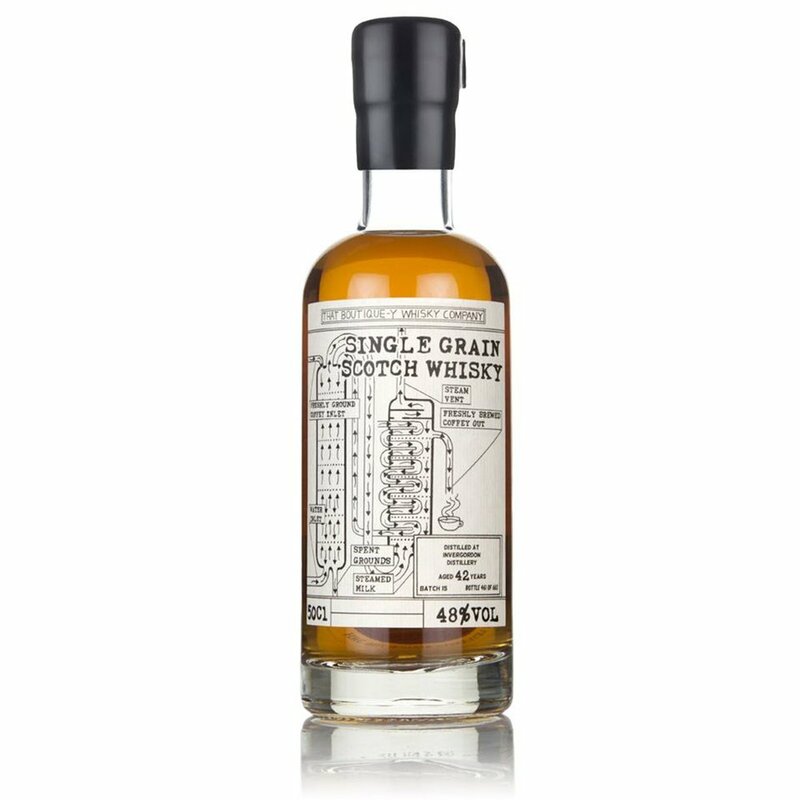 The Invergordon 42 YO was released in 2017 with a total outturn of 665 bottles (50 cl). It sold at GBP 107, but appears to now be sold out. Nose: A light fruit kiss, followed by swirls of honey and vanilla ice-cream. Flakes of dried, tropical fruits powdered with icing sugar. Notes of mandarin and yuzu juice. Hints of dusty oakiness. Taste: Full body and intense presence. Whoa! This is concentrated goodness. Fruity as the nose, and quite sweet. Orange and citrus, mixed with pineapple juice. Vanilla, runny honey and white pepper and bitter-ish oak. Finish: Long finish. The fruitiness remains throughout. The spices and bitterness fades away. The lovely honey is still here, but less sweet now. I also detect milk chocolate. Dusty still. Comment: Hey, barkeep! Hit me again!